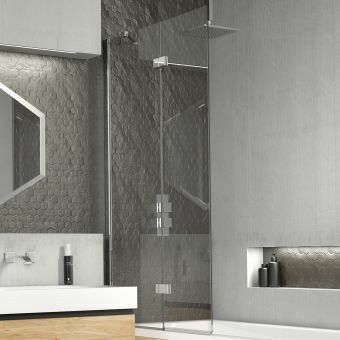 Give a bathroom a makeover with the Kudos Inspire 2 panel bath screen. 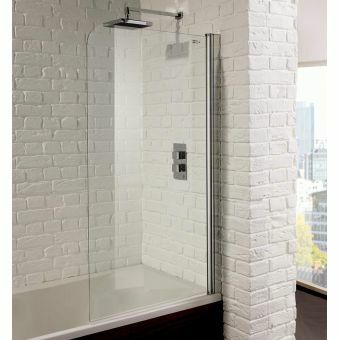 Enjoy the luxury of both worlds while making a bath into a shower with the Kudos 2 bath screen. 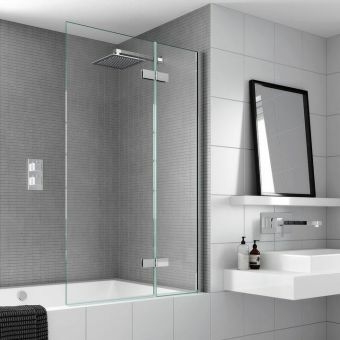 Ideal for both large and small baths at 950(w) x 1500(h)mm in size, the bath screen comes with special features and options including both right and left-handed models (The screen pictured demotes a RIGHT HAND model). 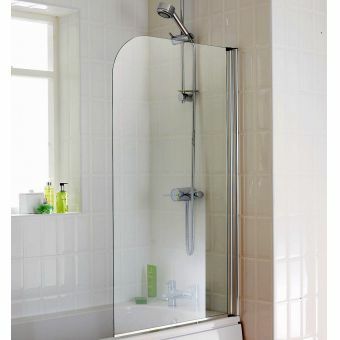 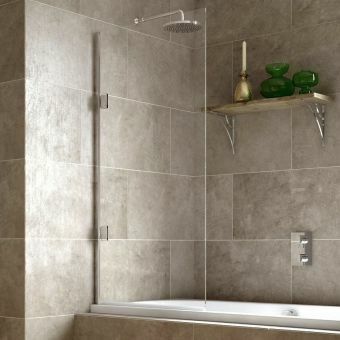 Customers will find the Kudos 2 panel bath screen very convenient with the outward opening option. 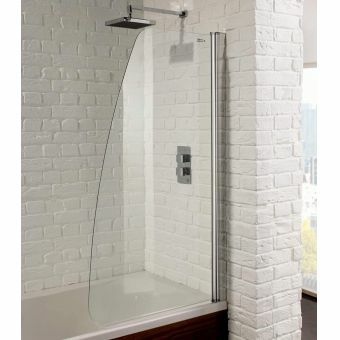 With a special, unique design that includes curved bottom edges, this bath screen adds elegance to a bathroom and shower. 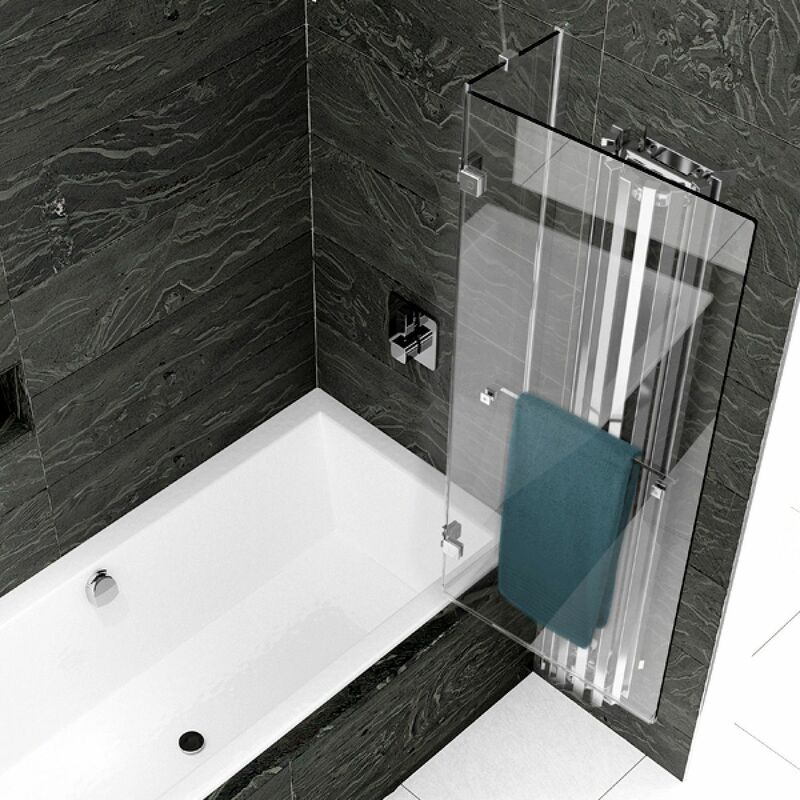 The Kudos bath screen also provides extra safety helping to prevent any slips and falls. 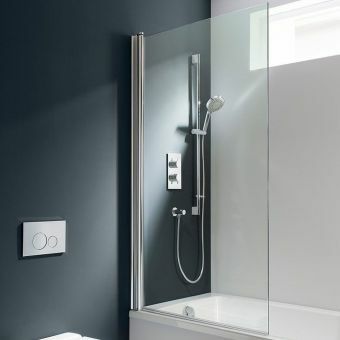 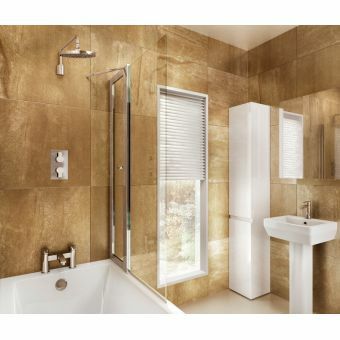 At competitive prices, with fast shipping and low shipping charges, shoppers will be pleased with their purchase of the Kudos Inspire 2 panel bath screen.